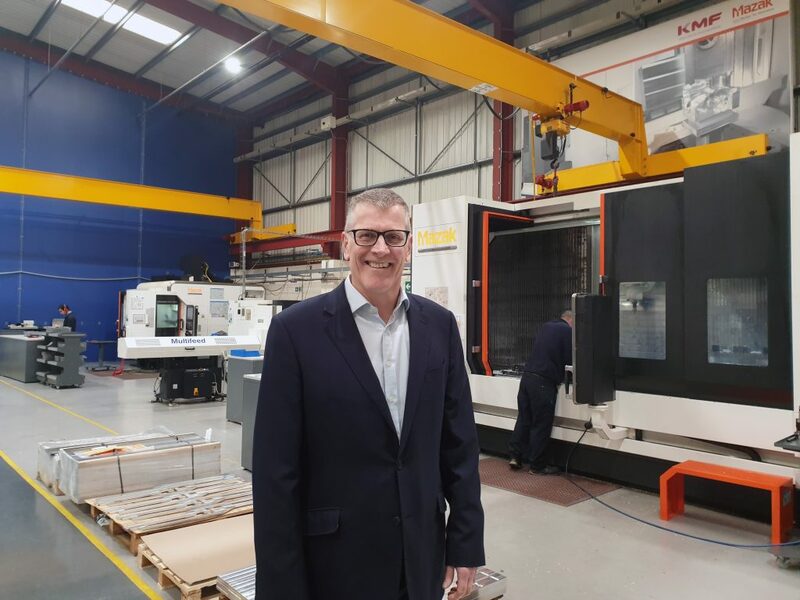 LEADING precision sheet metal fabrication & machining firm, KMF Group is delighted to announce the appointment of David Boughey as managing director for KMF Precision Engineering. With full responsibility for the leadership and development of KMF’s Precision Engineering business, David will play a key role in meeting the company’s ambitious growth targets as well as building on the group’s strong reputation for service and delivery to a diverse group of industry sectors. This service results from long-term investment in the latest 5-axis CNC machining technology, building a culture of innovation and continuous improvement that is fuelled by the firm’s award-winning apprenticeship scheme. KMF acquired Greenway Pepper Engineering in 2015 and founder and managing director, Greg Pepper will be retiring from the business in July 2019. David Boughey added: “KMF has a deserved reputation as a leading precision sheet metal fabrication and precision engineering firm committed to investment and innovation. I am excited to be on board as I believe the investment in personnel and equipment has created a fantastic platform. Our continued commitment to high levels of quality and service will underpin our growth within our existing customer base and as we develop our offering into new market sectors. It is a very exciting time in the growth of KMF and I am delighted to be part of it. KMF Group delivers precision sheet metal fabrication and precision engineering services to blue-chip organisations within a broad range of industry sectors, including Aerospace, Kiosk & Vending, Food Processing and Telecommunications. KMF Group comprises of KMF Precision Sheet Metal UK, KMF Precision Engineering and KMF Precision Sheet Metal Slovakia. The £42 Million engineering group are currently working towards an ambitious growth target of reaching £50 Million turnover by 2021, the firms 50-year anniversary.